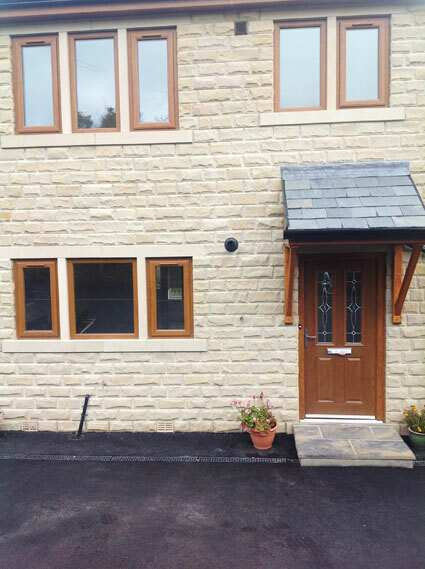 We’ve just finished another double glazing door and window installation for Worth Homes, the House builder. We carry out alot of upvc double glazing installations for Worth Homes. For this project, the houses were in New Mill. As you can see the builder decided on an attractive wood effect frame, including soffits and fascias which adds to the overall high quality finish of the building.